The much-awaited clash between Anand and Norway's world number one Magnus Carlsen will happen as early as in the second round. 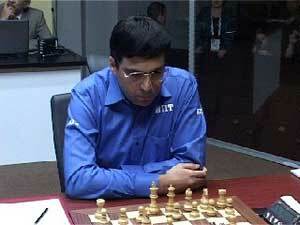 World champion Viswanathan Anand will take on Levon Aronian of Armenia in the first round of the Norway Chess 2013 super tournament that gets underway here. Svidler finished fifth on 5.5 points after losing the last round against Carlsen. Topalov was completely off-colour in the blitz, finishing last with just one point from nine games while Aronian was another surprise for the spectators as he ended ninth scoring 2.5 points.